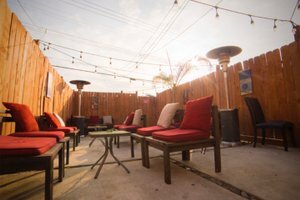 The Space is a 2000 square foot Lounge, 1000 sq ft indoor & 1000 sq ft heated patio outdoor located in Mid city and it can be used for a variety of Pop-Up ideas or any other special event. 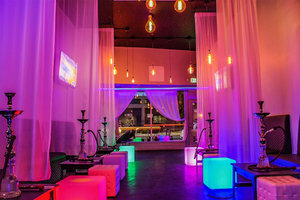 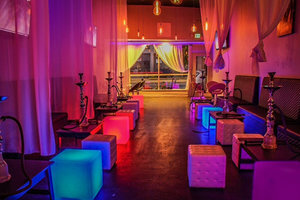 We serve soft drinks, juices, water, snacks and also Hookah. 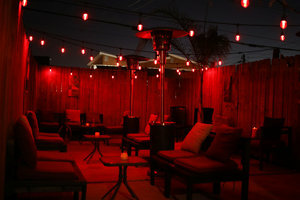 It is Located in the center of Los Angeles so public transportation is available, street parking is also easy to find. 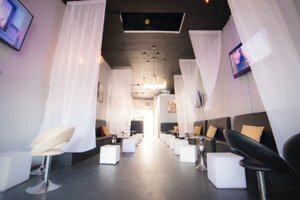 The host will be present to help out with any needs.